Until Factivate, creating UTM links and tracking them for Facebook campaigns has been a segmented experience. 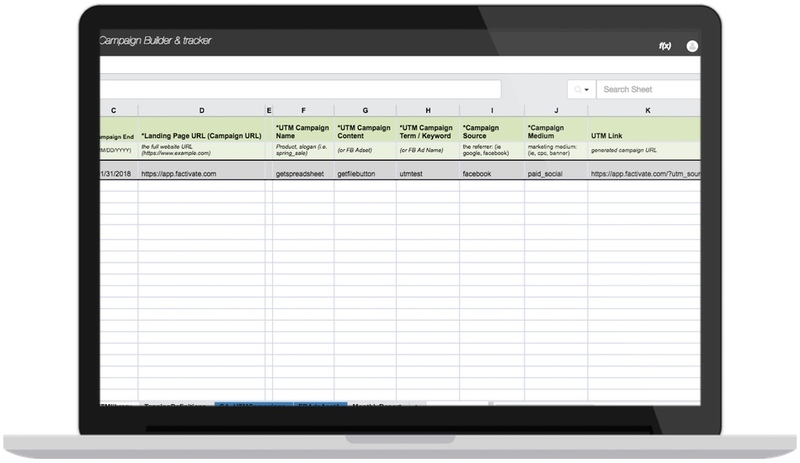 Use this spreadsheet template to generate campaign UTM links for your Facebook and Instagram campaigns. Then automatically track their respective performances in the same place. 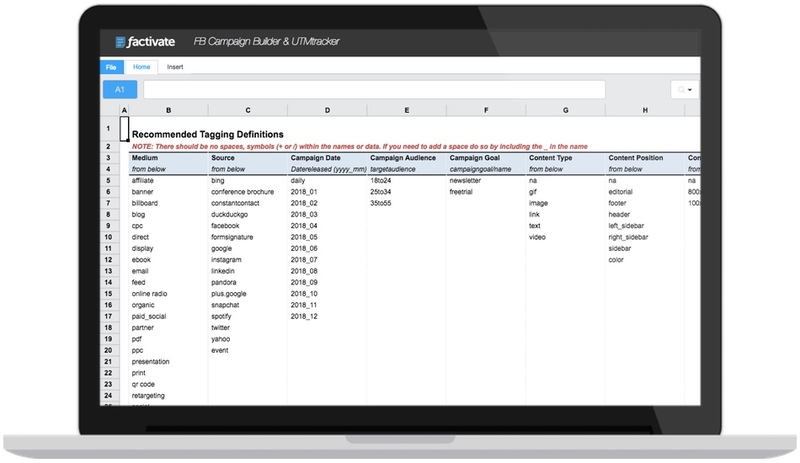 See which campaigns give you the greatest ROI!